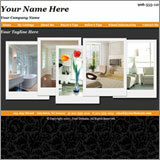 Starting a website can be a daunting task for any business, let alone a busy real estate agent or brokerage. Let NJPros take care of the planning, organizing and technology know-how for you. In just a few easy steps you can have a full featured real estate website up and running at a price that is definitely in your budget! Starting at the unbelievable price of just $180 for everything! 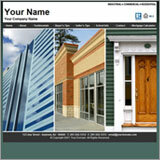 Use your own domain or get a FREE subdomain on NJPros.com! 5 customized email addresses FREE! Content for your website: buyers' tips, school info and more! Coming Soon: Your MLS listings automatically displayed on your website without you touching a thing! It might seem to good to be true, but actually it's just another benefit of being a member of the Liberty Board of Realtors. So, let's get started! NJ Real Estate - MLSGuide.com | Liberty Board of Realtors | NJTaxRecords.com | Website developed and managed by CHProWebDesign.com. © Copyright 2007 - 2009, Liberty Board of Realtors. All Rights Reserved.